How, and concisely, can we define the previous millennium? During the dawn of the twenty-first century, this is a valuable question. How about rampant masculinity, and focus on the military? And the essential site of power there? Emotional control. How things have changed. Our Author of the Month for September, and Psychedelic Marine, are testament to a most significant shift in the site of self-power: from emotional control, to emotional exploration; from worshipping external idols, to discovery of the self. Alex Seymour takes us on his journey from Afghanistan to the Amazon; he invites you to join him on his quest to reconcile peace and war, and find emotional equilibrium. There is something powerful here for everyone. What do Afghanistan and the Amazon have in common? They provide extreme experiences to help us understand that everybody dies, but not everybody lives. Two things help define me: my love for the Royal Marines, and natural psychedelics. Historically these mixed with as much harmony as oil and water – until now. I am a former marine who served on three active service tours of duty, the last being the war in Afghanistan. 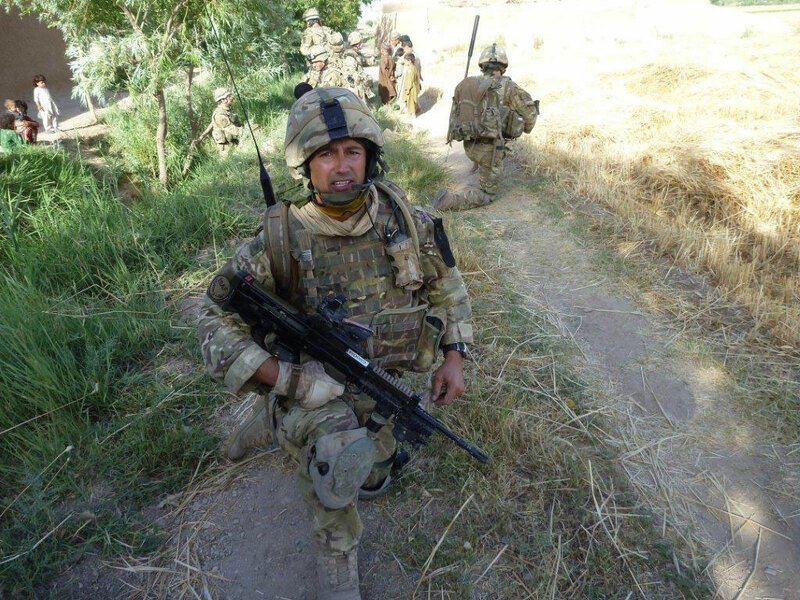 During that deployment to Helmand my best friend was critically injured by a Taliban bomb. In total seven men in my unit died and we suffered over eighty-three casualties. Following the war, I headed immediately to the Amazon to try to make sense of life—and death. My book, Psychedelic Marine, recounts that journey and in the process explores a number of dichotomies: courage versus fear, authority versus autonomy, science versus shamanism. The author on patrol in Afghanistan. The author in the Amazon, after ayahuasca. Since the 1960s, governments have legislated against the use of psychedelics; and it is only now, thanks to the recently acclaimed, rigorous, clinical research undertaken by several American and UK universities that the true, far reaching value of these sacred plant medicines is being made public. 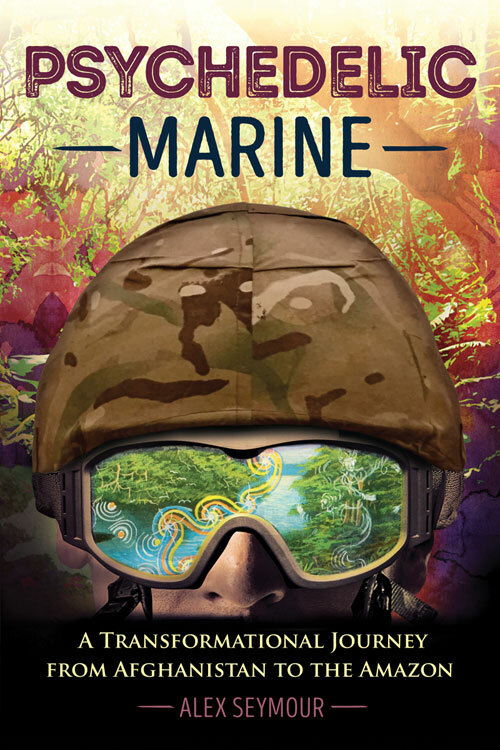 Psychedelic Marine is a true war story (with a psychedelic twist), which sets the stage for Part II, which focuses on high adventure in the Amazon. This intoxicating journey was undertaken deep within the jungle and along the Amazon River sailing on a huge, beautifully restored, 19th-century ship. The entire Amazon drama was the antithesis of war and was named by the organiser and head Shaman as ‘The Mythic Voyage’. The experience was indeed mythic. 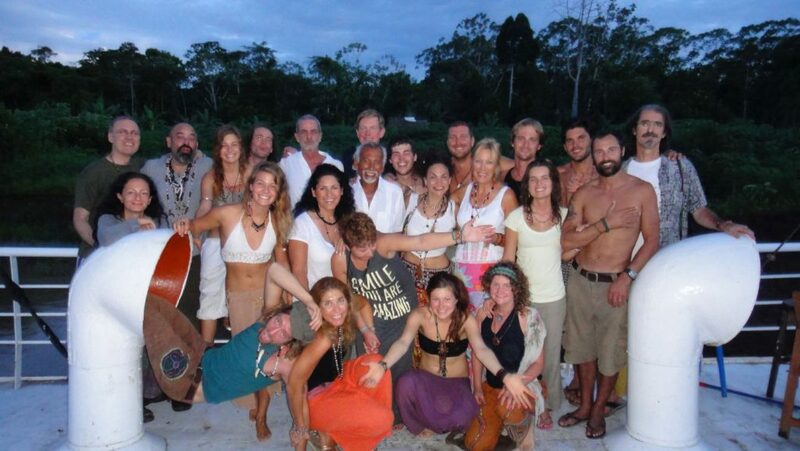 Each night a new location was found for the shamanic ceremony deep in the jungle, hundreds of miles from civilisation. We ventured ashore with the shaman and his troop of eight loyal shamanas; tiny female Indian shamans, all of whom sang ethereally throughout each ceremony as we consumed powerful plant based hallucinogens (ayahausca). The expedition was beyond bizarre and I was accompanied by a group of fascinating people, each of them seeking wisdom and some kind of redemptive experience from their First World ‘professional’ lives. The entire episode was led by an enormously charismatic polymath. At times there appeared to be incredible natural—or supernatural—phenomena in the jungle. I cannot overstate that this journey was an extremely bizarre experience and, approaching the true sense of the word, enlightening. Many of us on the Mythic Voyage had a significant number of our core beliefs fundamentally challenged, often in overwhelmingly startling ways. A core tenet of the book is a discussion of the power of inherited beliefs versus the value and power of direct experience. Nothing trumps direct experience, and yet we still see global conflicts played out on a foundation of ridiculous or irrelevant inherited beliefs. Creeping religious fundamentalism is no exception. The book tries to make sense of this and this is why there is a zeitgeist aspect to the story. To the best of my knowledge, I am one of the few veterans who is also sensitive to the issues of self-revelation through the use of consciousness-altering psychedelic plants, and so this story is a real-world account of the harshness of war in Afghanistan. I originally joined my unit 42 Commando as a teenager and then re-enlisted after spending twenty years working for global tech firms. 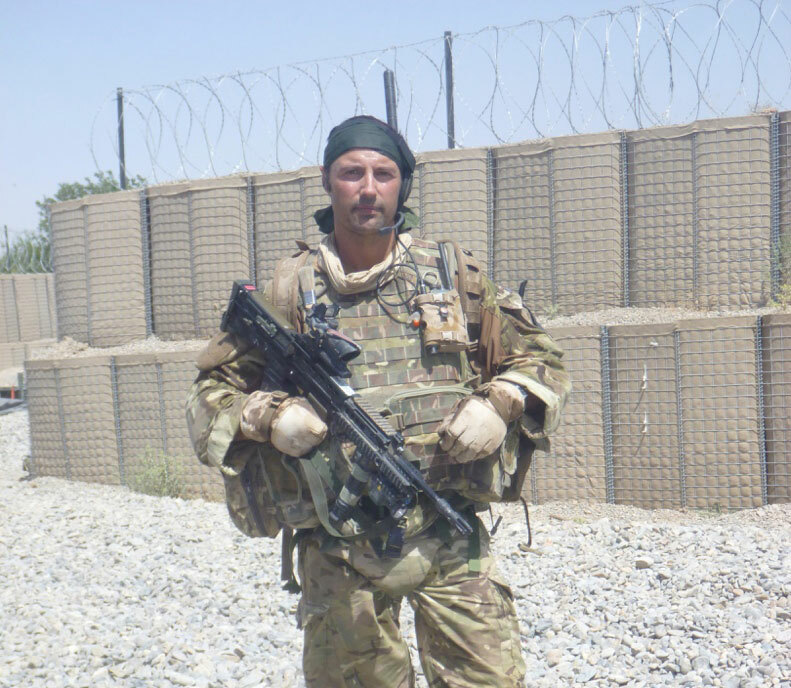 By the time I arrived back on the front line in Afghanistan I was twice as old as most of the men I served at war with. This perspective has been undocumented, until now. Mine is the first account of a military person tackling the unorthodox and controversial topic of how certain psychedelics can assist military men to prepare for war and, crucially, recover and heal from it. The author on patrol in Helmand province, Afghanistan. Following my tour in Helmand Province, I headed into the Amazon jungle to work with a shaman’s directed intentions. Some of these intentions actually appear to manifest in reality with startling and sometimes shocking results. I believe these personal revelations have relevance to others and to society at large. The story develops into an uplifting and provocative discussion, which reconciles our capacity for facing death with seeking life, without succumbing to the spirit numbing conformity of society. 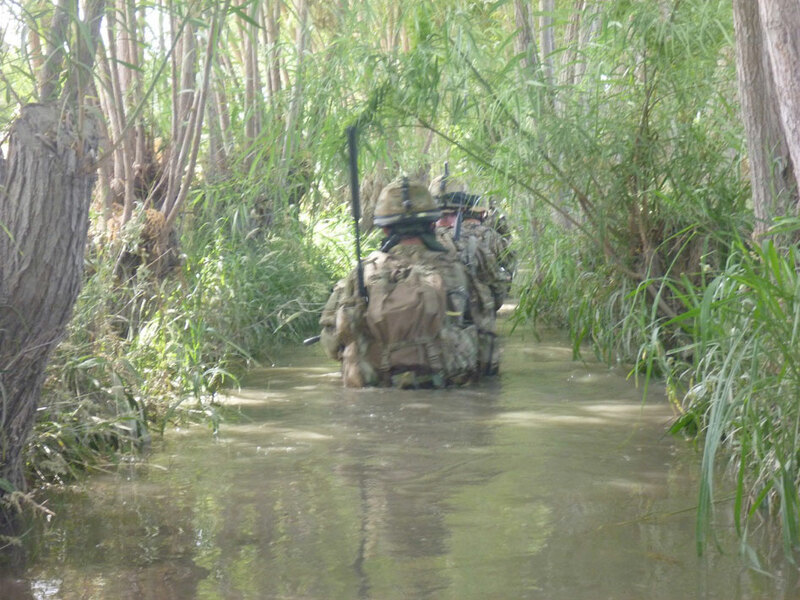 Patrol in Helmand province, taken by the author. There are many who have returned from serving in Iraq and Afghanistan who will have suffered greatly and who are, at the very least, disillusioned. And when they return to civilisation, regardless of whether history judges the war be have been justified, righteous or immoral, many ex-servicemen fail to assimilate back into ordinary life – they develop long-term issues like PTSD, insomnia, anxiety – and failure to integrate. In fact, why do some men choose war service as a way to test their masculinity in this overtly excessive way in the first place? I was insecure due to self-esteem issues inflicted by stepfathers – issues that were thankfully vanquished by serving in the war and drinking ayahuasca. Others may have different reasons. For some it is a ‘calling’ – an opportunity to right the wrongs of global injustice. Others are athletic natural hunters. Or perhaps there is an expectation or tradition founded on a military family history going back several generations. For many, including me, it’s a combination of all these – so it’s complicated. And as we have found out, often deadly. In the late half of the twentieth century something diluted a boy’s path to manhood. Women have the experience of childbirth, but what do modern men have as an equivalent? Giving a big speech, winning a business deal, or a rugby tournament? Speaking from experience, I don’t think these really compare to the momentous life changing event that a woman experiences when she gives birth. Previously men had war as a rite of passage. Some men know this still is a rite of passage that they crave, and so choose to serve. No one ever heard of a boy that went to war and came back still a boy… It is a largely accepted truth, albeit taboo, that this transition helps form him into a man. We have two problems here: First, many young men are increasingly dissatisfied with the lack of risk and mundanity that contemporary urban office life affords. Many young men, with their hormones raging, go to war to prove themselves. We all know that sending men to war is, however, wrong and wasteful – a very last resort to deal with an abhorrent ideology, dictator or tyrant. (And dictators always seem to be men, don’t they?) It seems that men can turn to war (or warlike behaviour), therefore, due to either the implicit or explicit pressure of societal conformity – to abide by the rigid gender binary – and hence, ‘be a man’. This is a sickness in modern society to which ayahuasca, amongst other spiritual endeavours, is a great aid. The second problem that follows is this: what do we do with the large proportion of psychologically damaged veterans when they come back to society? Psychedelic Marine has some helpful ideas. Hopefully it will appeal to those who need to surmount obstacles in life. It was written with the intention of being inspiring – beginning with considerable emotional and physical distress and ending with inspirational insight. Countless men are searching for existential meaning yet, unlike preceding generations, they grow into adulthood without having taken any real risks and consequently experience no significant or satisfying transition into manhood. How can we navigate our way through this? Psychedelic Marine explores this modern quandary and provides answers – many of which are not for the fainthearted, but are still unequivocally proven to work. Challenging the value of modern masculinity could be considerably eased with a safe but provocative solution: open the door to a fresh new awareness – embark on a Mythic Voyage, a magical real life odyssey. The author aboard the Mythic Voyage with his group. There are millions of men whose voices go unheard, who swear and curse, who would lay down their lives for families they dearly love. They spend more than half their lives in unfulfilling careers – the very same men who are still attracted to adventure and hedonism, seeking answers to the greatest of the life defining questions. I can offer some seriously honest and heartfelt advice based on extreme and exceptionally unusual experiences. The sort of experiences I have had with natural plant ‘medicines’ (as they have been wisely referred to for millennia in the Amazon), are also enjoyed by thousands of indigenous people legally, naturally and safely in South America every year. They can help many of the troops who have been traumatised by war. This is breakthrough news driven by the power of the Internet. I am committed to doing everything I can to build awareness and deliver these wonderful ancient healing techniques and tools to these good men. We can massively diminish instances of human suffering by drinking ayahuasca. This includes war veterans. Give them not just alcohol and cigarettes – but something more powerful and enduring, a genuine alternate state of consciousness granted by consuming an entheogen (psilocybin mushrooms or ayahuasca) in a safe setting. Offer them shamanic ritual and ceremony – a noble way to reintegrate peacefully back into society. America’s post-war problems are far greater than ours in the UK. Incredibly, twenty-two veterans a day are still committing suicide years after the Iraq and Afghanistan wars ended. Twenty-two a day. More men are dying after the wars than during them. But we have hope and a solution. I am now working with a group called ‘Veterans for Entheogenic Therapy’ (VETS) in America, led by former Marines. They are a group dedicated to the rehabilitation of veterans diagnosed with PTSD, with the mission of healing veterans, and enabling them to integrate safely and valuably back into the community under the guidance of an experienced shaman, in a traditional ritual setting, with the natural powerful hallucinogen/entheogen, ayahuasca. Documentary filmmakers from the largest TV companies are queueing up to film these stories. The production of a film in the U.S called Soldiers of the Vine is underway. Another one is called From Shock to Awe. They will show the wonderful, well documented transformations that can result from an ayahuasca ceremony: a sense of power and connection to a greater intelligence; a sense of the divine and increased empathy; and valuable insights for former combatants returning from a hostile environment. The end result: a lasting peace. What is more precious than this? Ryan, talking about his first experience with ayahuasca, featured on upcoming documentary, ‘From Shock To Awe: Treating Veterans with Cannabis, MDMA, and Ayahuasca’. But we have, of course, been looking at all this microcosmically. So far I have framed the benefits and value of ayahuasca to veterans. But let us not limit our thinking to only one set of people. On a macro level there is much more opportunity than that. Everybody experiences suffering and anxiety. For many people this is becoming chronic in response to over-stimulation from work, new media and devices, relationships and exposure to events in the news. This is why ayahuasca should be made legitimate, legal and abundantly available in nurturing, shamanic settings. It is legal in South America – for good reason – revered as a sacrament to enable insight, healing and spiritual salvation and empowerment. The power of the jungle plant medicines should be made available to those who need it most. Veterans have earned the right to choose how they heal. However, this extraordinary gift from the Amazon should be extended as a fundamental human right to everyone. The Indians in the jungle have understood its power for millennia. It is natural. So let’s bring its power and therapeutic properties and adopt a wiser integrative approach to western medicine. Too many people are caught in the vice of medically administered and sanctioned pharmaceutical SSRIs like Prozac. It is in the insidious interests of ‘big Pharma’ to keep people on their prescriptions and addicted. Sanctuary and sanity with ayahuasca is within our grasp. Psychedelic Marine and the aforementioned forthcoming documentaries set out to show this. For those of you who may know, experiencing the humbling awe of ayahuasca feels like you are literally illuminating and firing new neurons; and fascinatingly, new scientific research proves that our brains can actually do this. 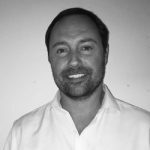 Presented in Amsterdam in June at the ‘Interdisciplinary Conference on Psychedelics Research 2016’ were the findings of Dr Jordi Riba from the San Pau Hospital in Barcelona, who found that consumption of ayahausca literally stimulates and generates the development of stem cells into newly developed neurons. This is something that was thought previously impossible in adult humans. We are beginning to understand, through the power of science, that ayahuasca can not only transform human consciousness to make it kinder and more compassionate – but also contribute to the growth of our collective intelligence. What is more powerful than that?